I'm having a lot of fun creating seasonal planter covers for my two, couldn't-kill-them-if-I-tried, 4"-potted plants. So far I've donned them in sweaters and decked them in Santa's red & white. But now the days are finally longer, the air is warming, and Spring is around the corner. I've hooked up a few Spring Bunnies just in time for Easter. And you can, too! For these bunnies I really like the inexpensive Red Heart yarn in all it's stiff glory. 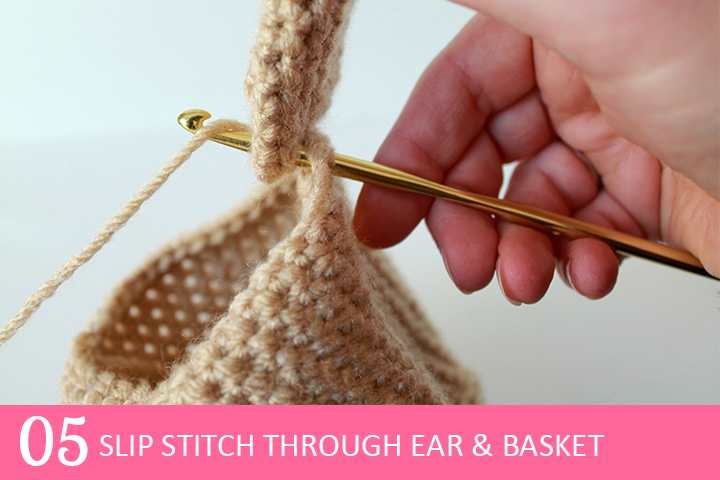 It holds the basket shape well and the ears stand up beautifully. It took me a little trial and error to find the final pattern. I debated whether to increase the width of the basket as I crocheted up, in keeping with the shape of the original pots. In the end I decided I liked the basket best with no increase, more of a straight cylinder look. If you compare this pattern to the two previous planter covers, you will note that this one starts with a wider base. I also experimented with the shape and height of the ears; you can see those variations in the different planters pictured here. Are you ready to try one for yourself? 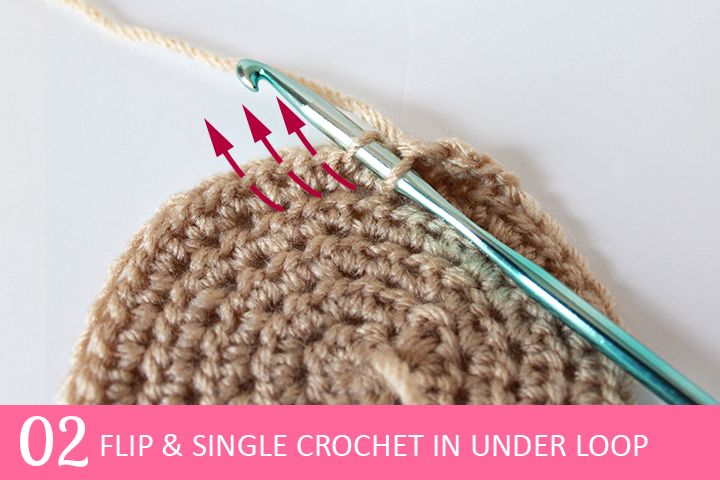 If you are an adventurous (or master) crocheter read on! 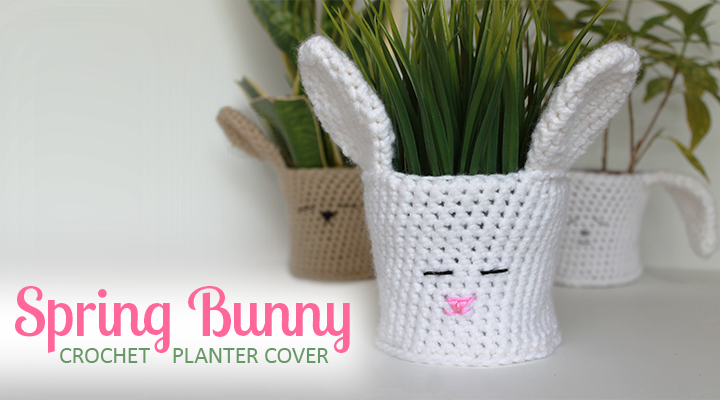 Here you'll find illustrated steps to help you create a bunny cover for your plant. 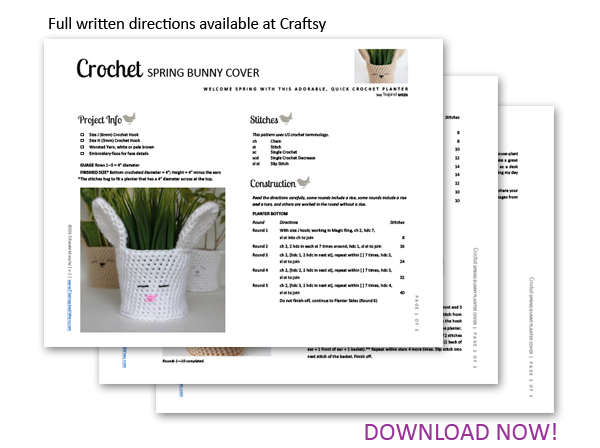 If you'd prefer printable directions download the full pattern for the Spring Bunny Crochet Planter Cover for just $0.99 here. 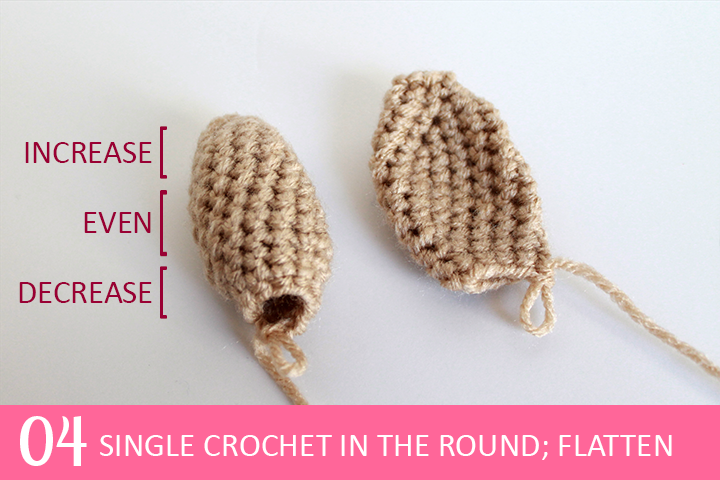 The full pattern includes the exact stitches, counts, and rows/rounds to fit a 4" planter. 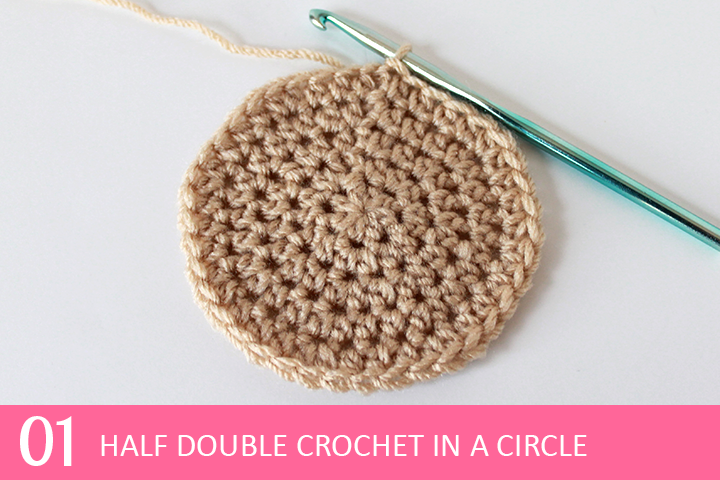 You'll need a Craftsy account but that's free with an email address. 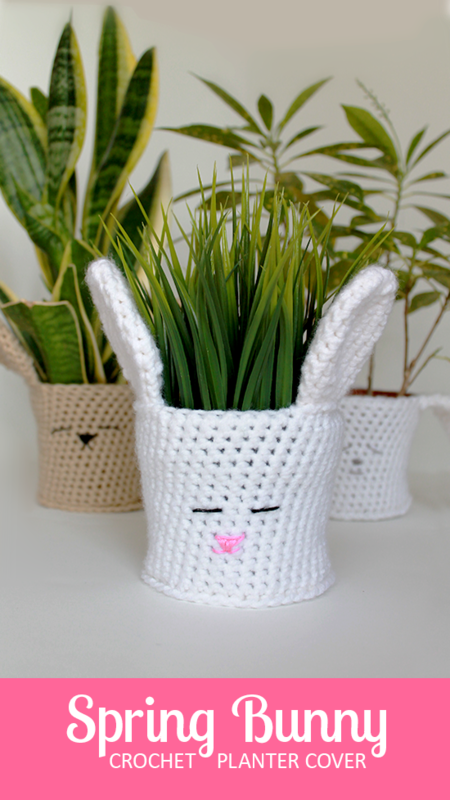 If you'd prefer printable directions download the full pattern for the Spring Bunny Crochet Planter Cover for just $0.99 here. 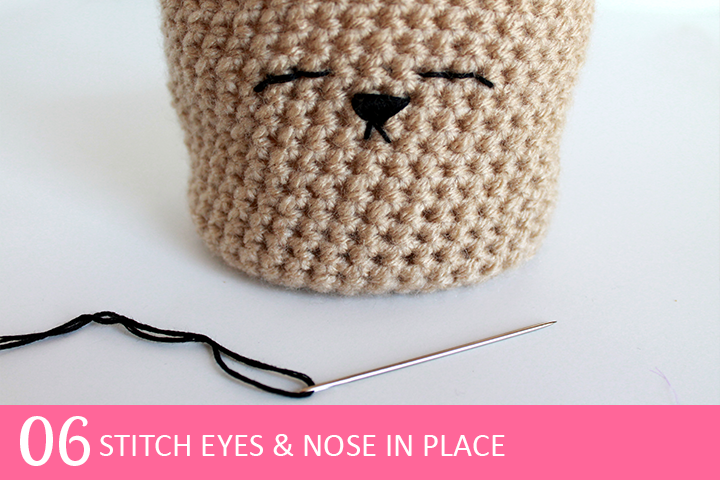 The full pattern includes the exact stitches, counts, and rows/rounds to fit a 4" planter. 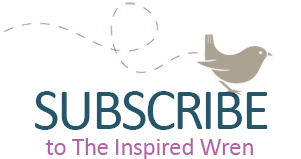 You'll need a Craftsy account but that's free with an email address. 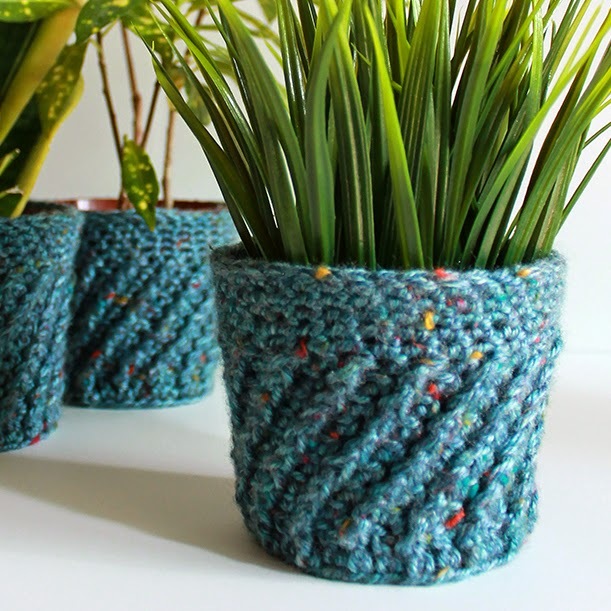 This Spring-inspired crochet cover takes an inexpensive, store brought house-plant and makes it special. 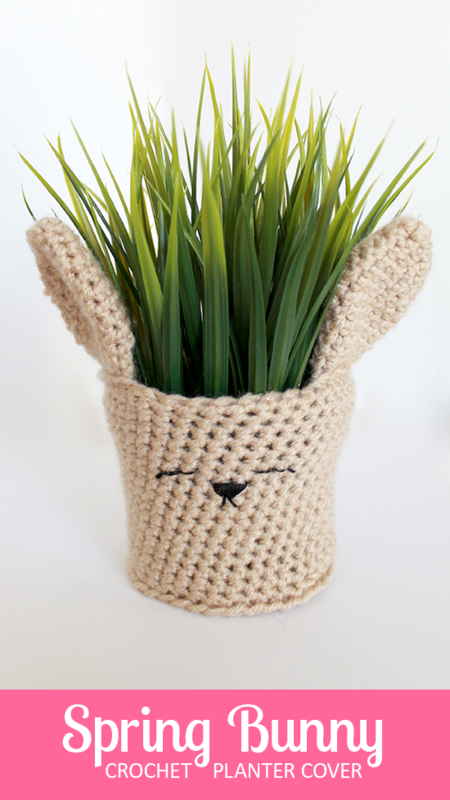 The planter comes together quickly and would make a great grab-bag or hostess gift. 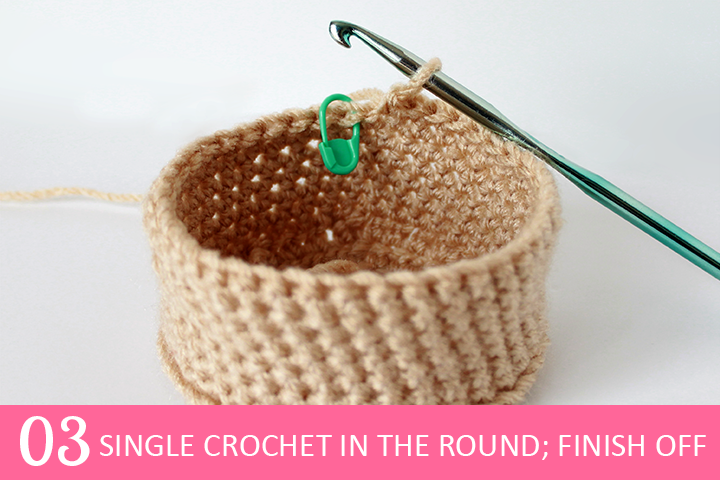 You could even add a handle and use it as mini Easter basket! Personally, my plants sit on the windowsill bringing a little Spring into my life whenever I’m at the kitchen sink. 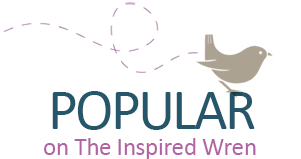 If you use this tutorial, I’d love to see and hear about your results. 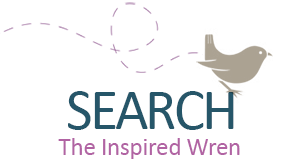 Come share your projects on The Inspired Wren Share page. 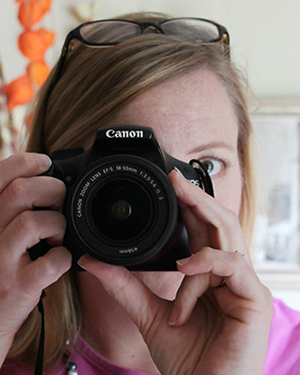 There you can link up your images from a blog, Flickr, Pinterest, or Instagram. 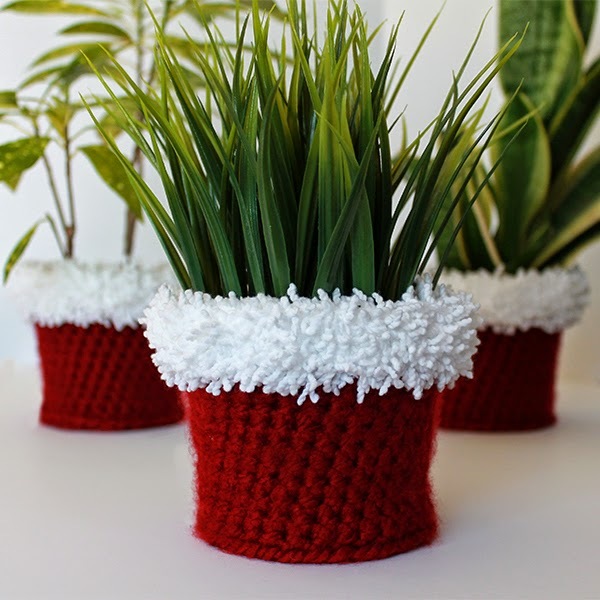 PS -- If you like this planter, be sure to check out these other crocheted planter tutorials! YAY! Thanks so much, Michele!